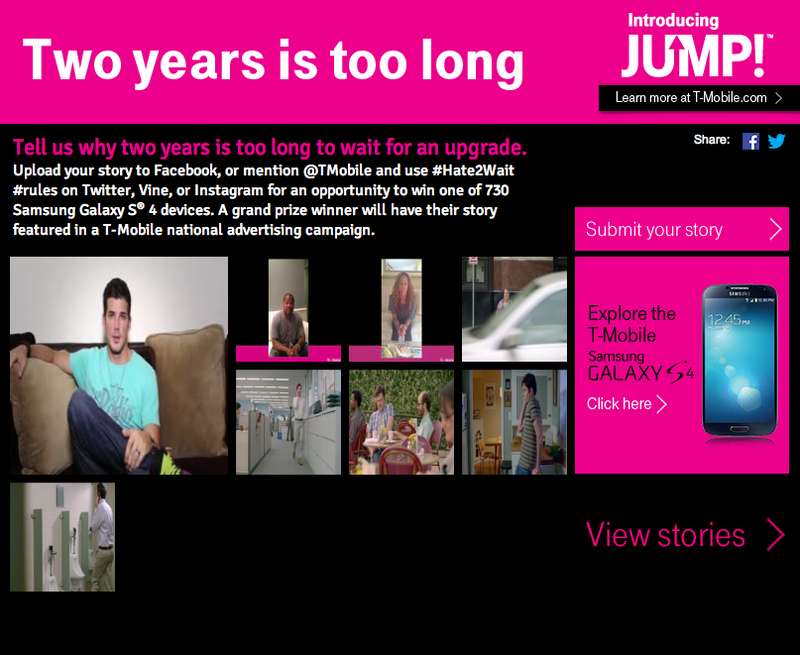 I hate upgrade waiting periods, you hate upgrade waits and now so does T-Mobile and that’s why they are giving you a chance to win one of 730 Galaxy S 4 smartphones. So what do you need to do to enter? The contest begins July 10th, 2013 at 12:00 AM Eastern Time and ends on July 31st, 2013 at 11:59 AM Eastern Time. Then, on August 7th at 12:00PM Eastern Time you can come back and vote for your favorite finalists. Hmmm, should I enter? I can just see T-Mobile crowning me in one of their national commercials. See the full rules and links below. Upload a story about what,? I just won an HTC ONE from phonedog.com. Hell why not, hopefully my luck hasn’t run out yet!!! why is there a picture of a guy at a urinal? Hahaha David you’re so funny!! Hey, what can I say? I actually ended up with one of those 730 S4s.